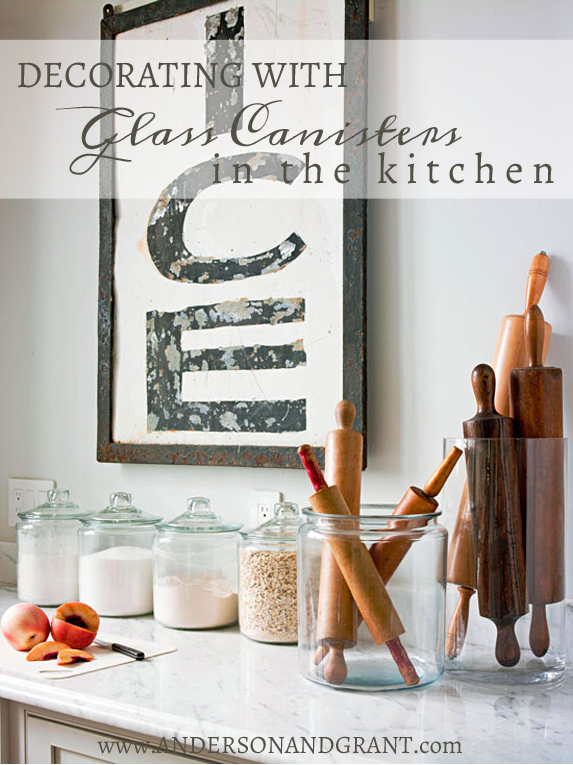 There is something about clear glass canisters in the kitchen filled with flour, sugar, and all those staples that makes my heart go pitter-patter. I'm odd. I'll admit it. 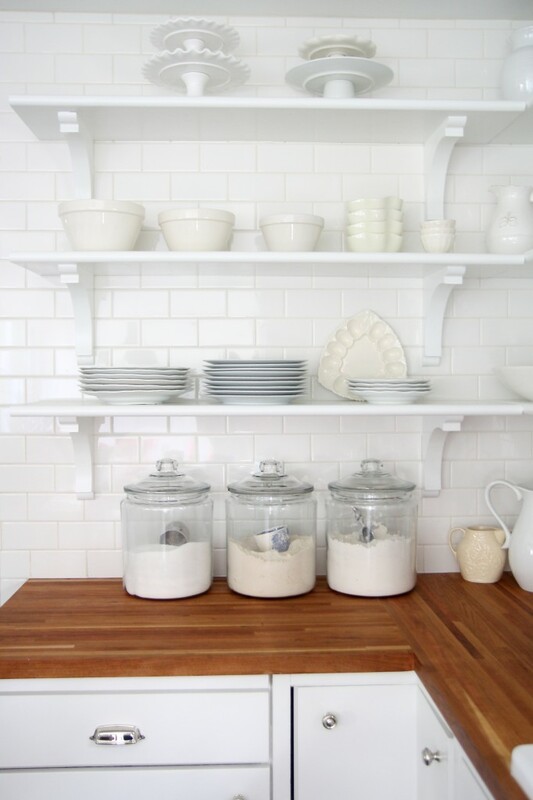 But my mind is happiest when things are neat, orderly, and uncluttered. 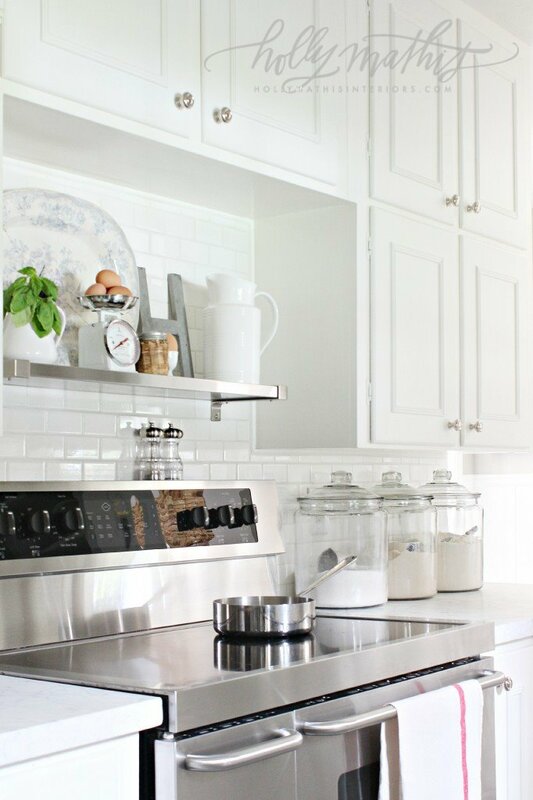 And if canisters are going to be sitting on the counter top, they might as well do double-duty as something pretty to look at! Kitchens are hard to decorate. 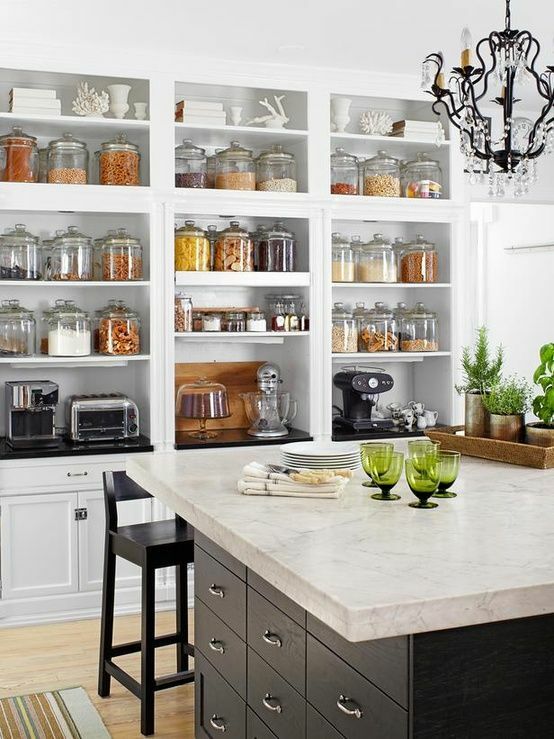 You don't want to waste precious counter space with items that will sit and collect dust and grease. There isn't a need for mixing and matching fabrics (unless you have a curtain hanging over your kitchen window.) And most kitchens don't have the space to create a cozy little nook to sit with a blanket and good book drinking your coffee. 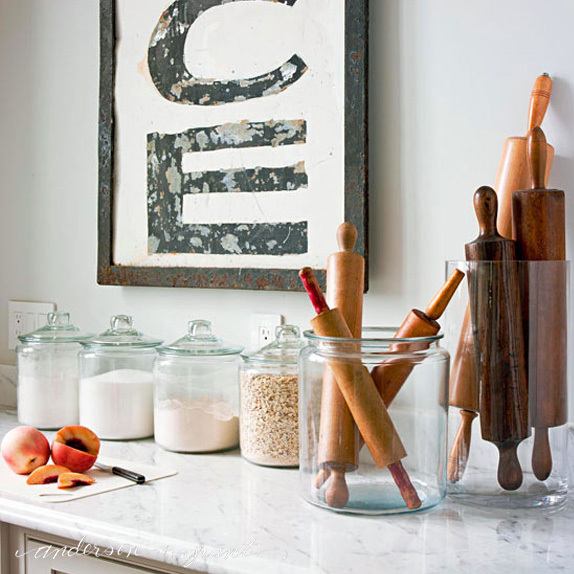 So, you've really got to make the items you need to have in the kitchen as decorative as possible. 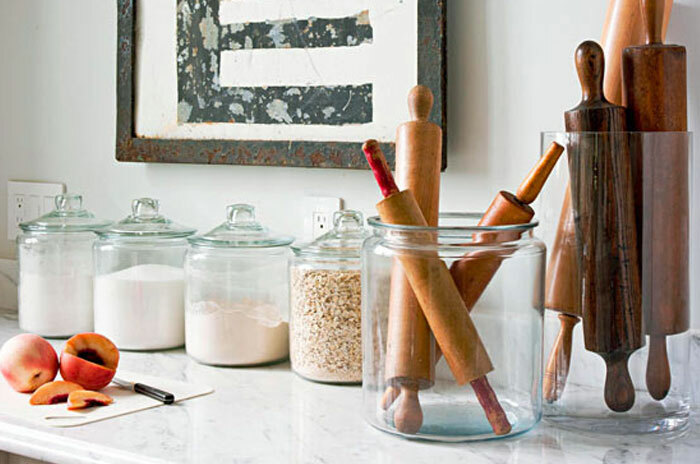 Whether they take up space on an open shelf, are resting on the counter, or are put away in a cupboard, glass canisters are a decorative way to make the "clutter" of your kitchen look pretty. 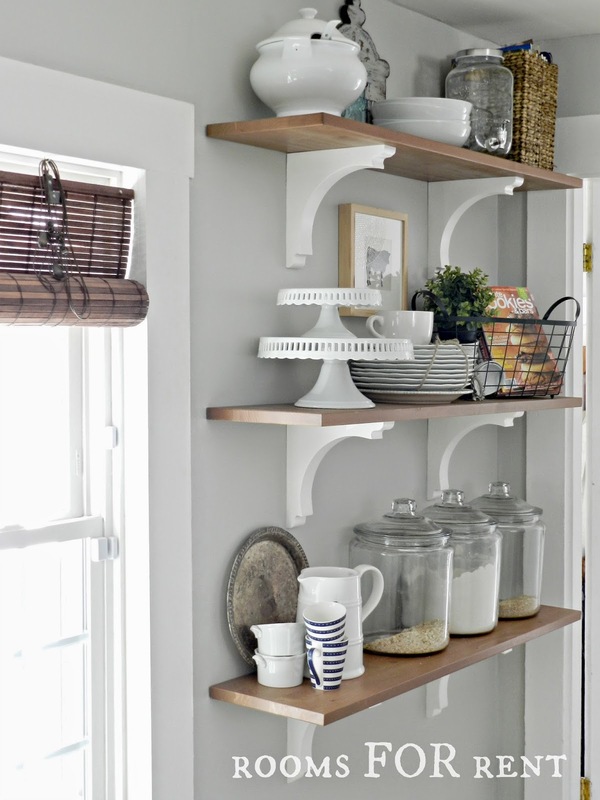 If you are going to be storing supplies like flour and sugar anyways, then it is time to put some of your food on display! And the best part is that they can fit into any decor and are able to stick around as your style changes. 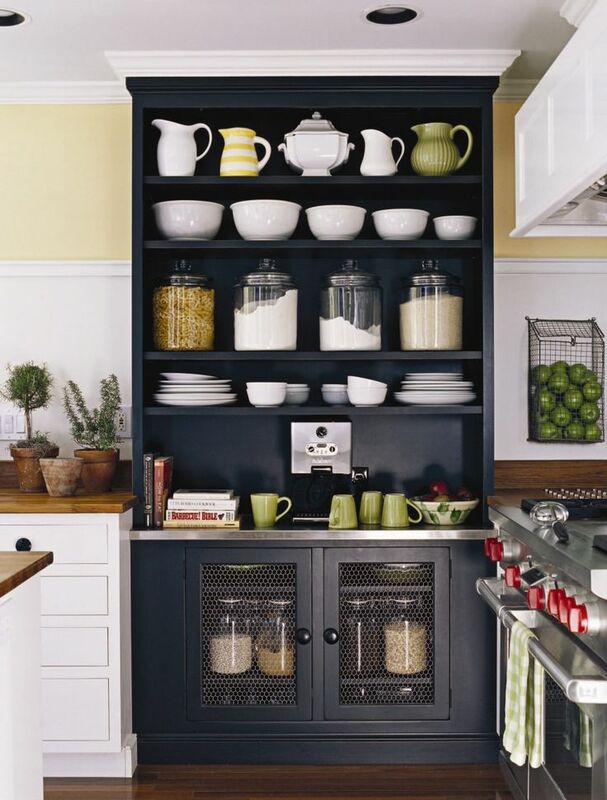 So, do you agree that this utilitarian kitchen storage can be decorative, too?